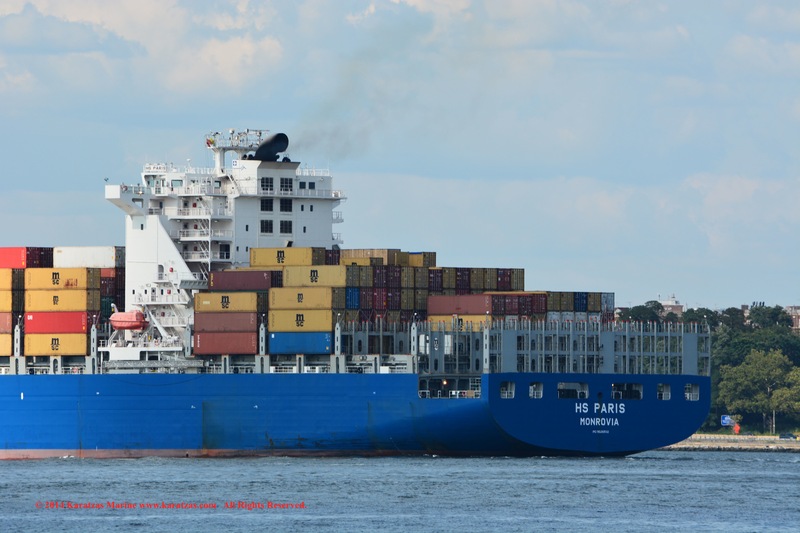 IDENTIFICATION: Launch Name was HS Paris. 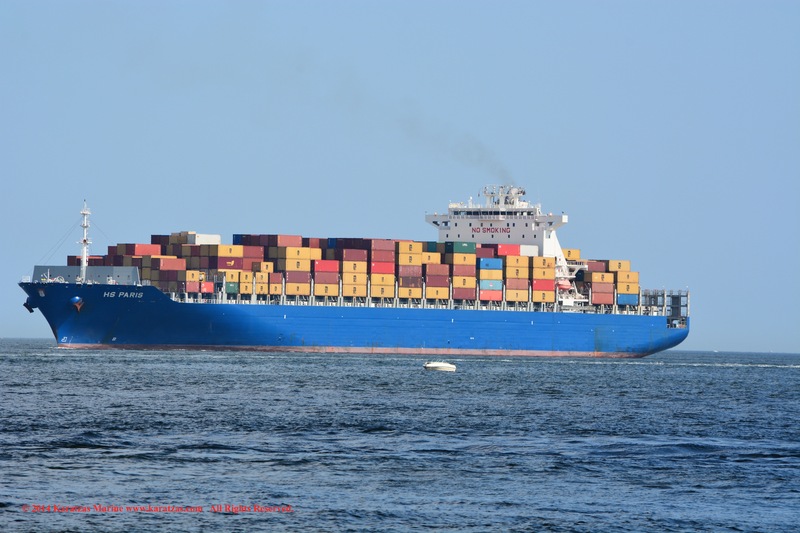 Post-Panamax Containership, Call Sign D5DA9, IMO Number 9526502. 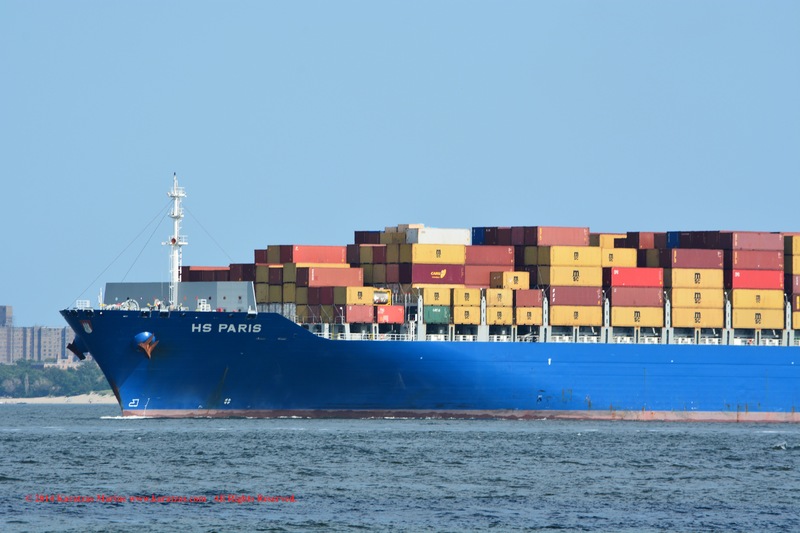 Built at Jiangsu Rongsheng, Liberia Flagged, GL Classed, Length Overall of 299.89 m., Draught of 14.50 m., Beam of 40.00 m., Gross Tonnage of 75,015, Moulded Depth of 24.20 m., Tonnage of 82,826 Dwt (long). ENGINE DETAILS: Engine Description 2 S.A. 10-cyl., Engine Model 10RT-flex96C-B. Wartsila Engine, Speed of 25.30 kts, Horsepower of 43,431BHP. OWNER / MANAGER DETAILS: Hansa Treuhand Schiffsbeteiligungs AG & Co., URL: http://www.hansatreuhand.de. 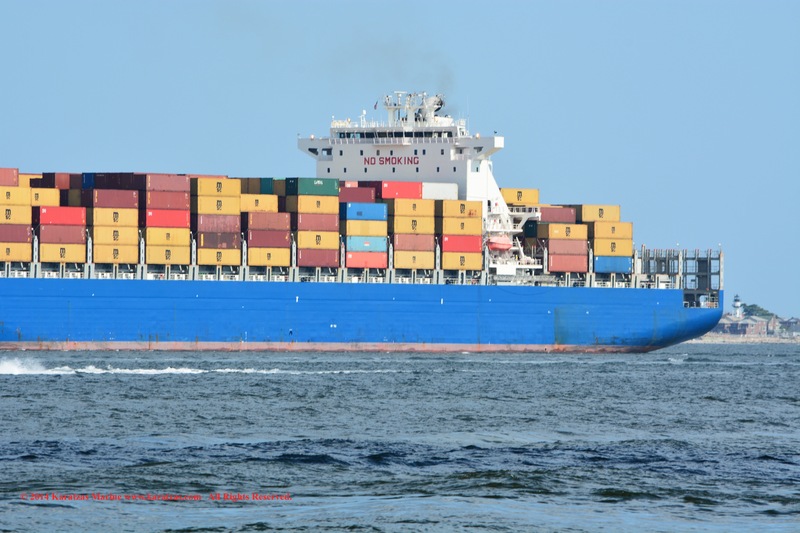 SPECIALIZED DETAILS: Teu Capacities of 6,588 Total and 4,940 Homogeneous. 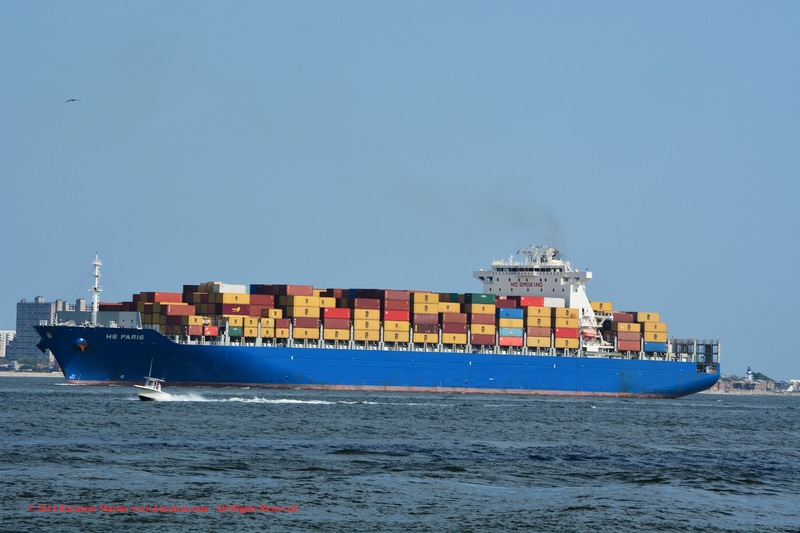 Operators are Mediterranean Shipping Co. (MSC). 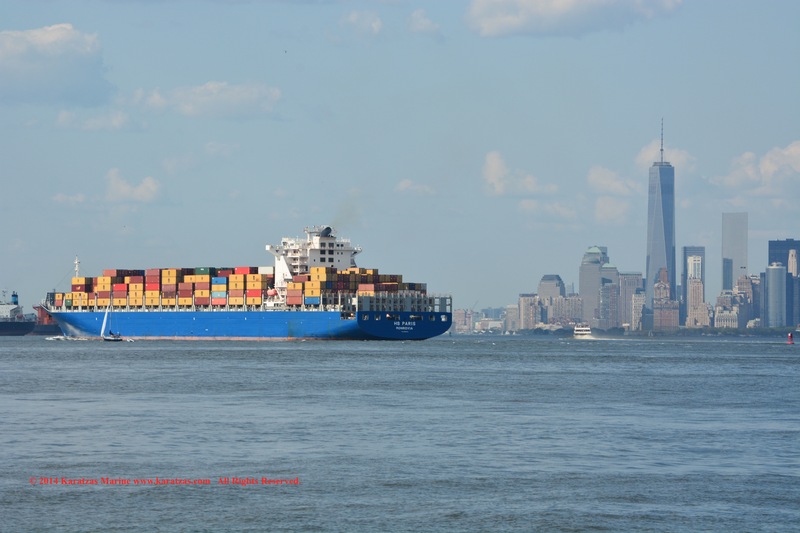 Containership MV ‘HS PARIS’ (6,600-teu, built in 2012 at Jiangsu Rongsheng and owned by Hansa Treuhand Schiffsbeteiligungs) inbound at New York Harbor. 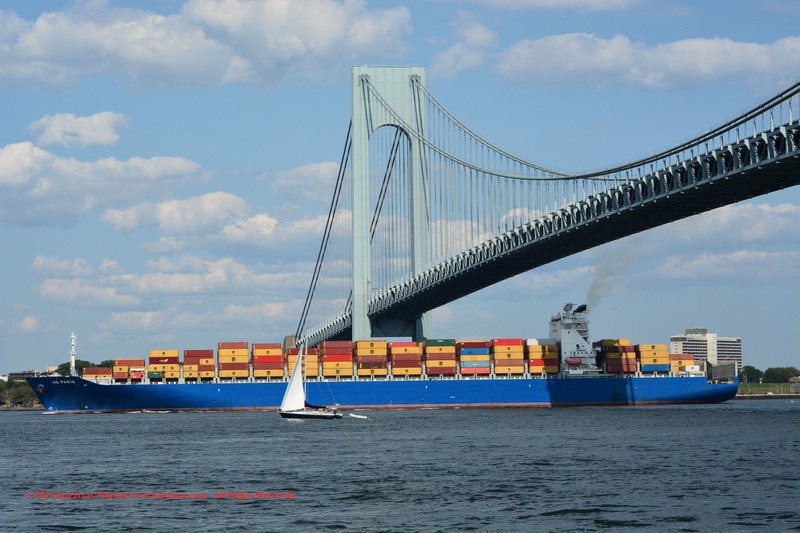 Containership MV ‘HS PARIS’ (6,600-teu, built in 2012 at Jiangsu Rongsheng) inbound at New York Harbor; passing under Verrazano Narrows Bridge. 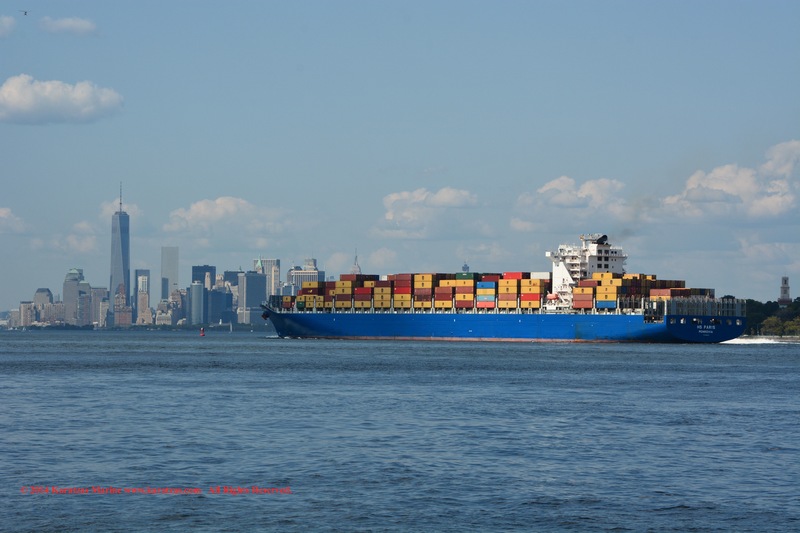 Containership MV ‘HS PARIS’ (6,600-teu, built in 2012 at Jiangsu Rongsheng) inbound at New York Harbor; Downtown Manhattan and World Trade Center in the background. 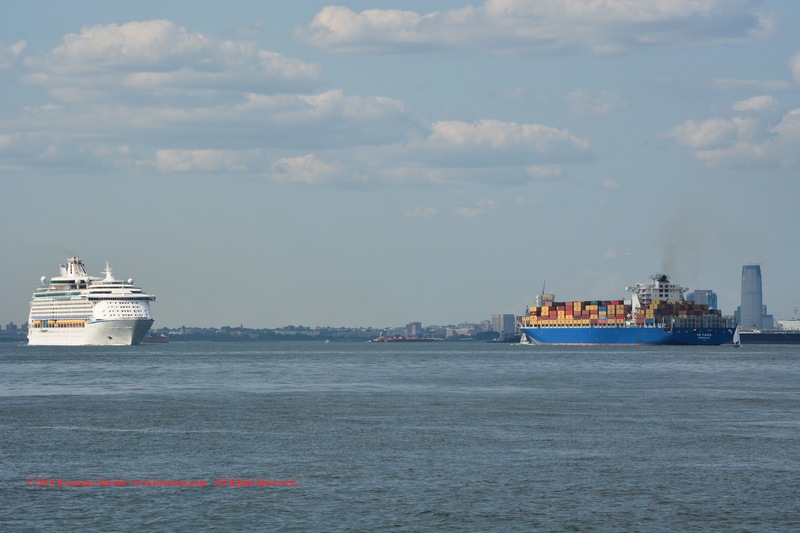 Containership MV ‘HS PARIS’ (6,600-teu, built in 2012 at Jiangsu Rongsheng) inbound at New York Harbor; crossing paths with outbound cruiseship MV ‘Explorer of the Seas’. 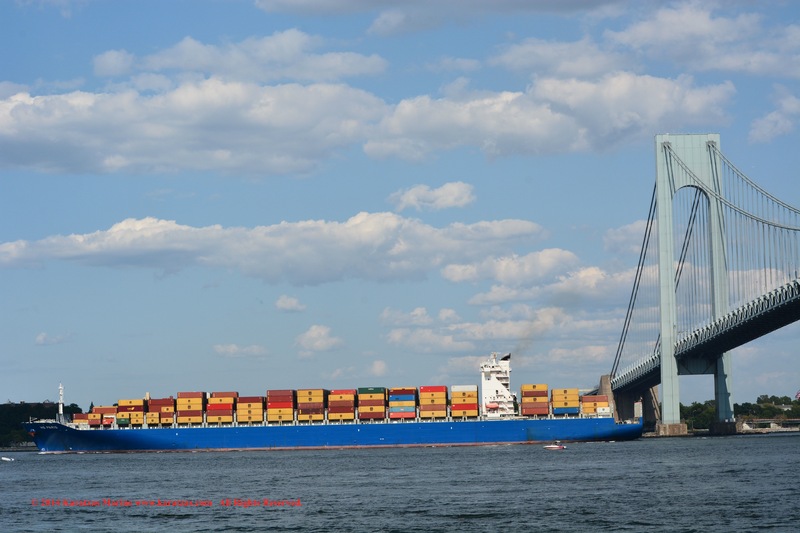 Containership MV ‘HS PARIS’ (6,600-teu, built in 2012 at Jiangsu Rongsheng) inbound at New York Harbor. 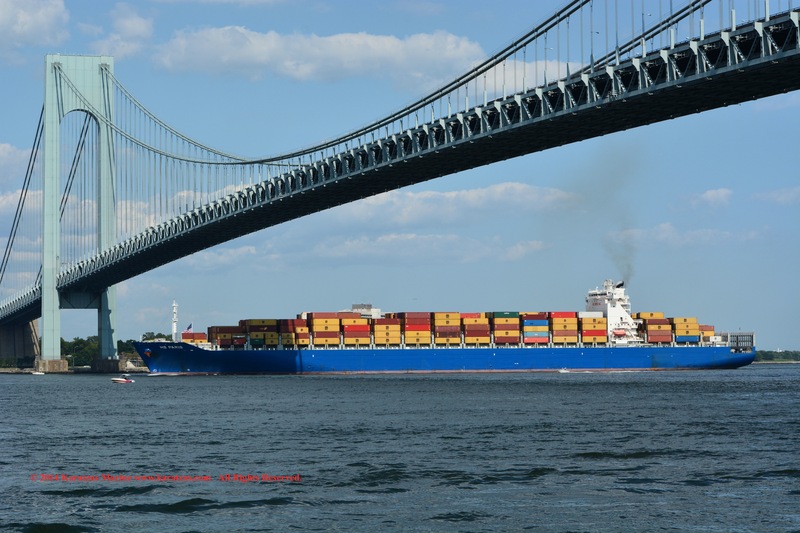 This entry was posted in Containership, Port of New York by Karatzas Marine Advisors & Co.. Bookmark the permalink.